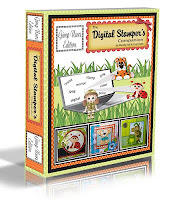 Digital Delights by Louby Loo Tips: Delightful Monthly Challenge ~ WINNERS!!!!! Delightful Monthly Challenge ~ WINNERS!!!!! GUEST DESIGNER on October 29. Patricia will receive a Digital Delights image of her choice to use for her GDT project. So excited to be a winner. thanks.